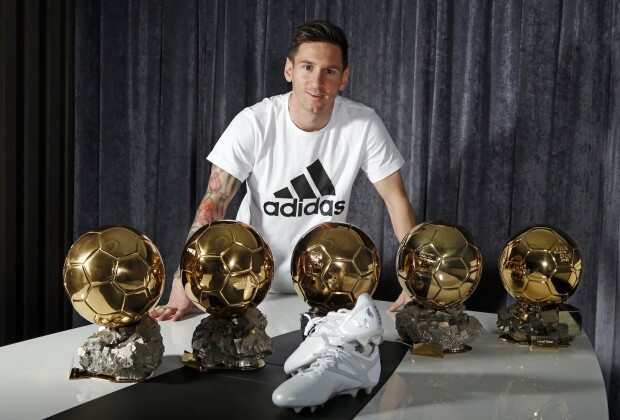 Lionel Messi has lifted the lid on the 14 greatest moments of his illustrious career for Argentina and FC Barcelona, listing three games against Real Madrid, two UEFA Champions League finals and the 2008 Olympics final against Nigeria. Tired of reading? Click through the gallery above to see Messi's 14 greatest moments for Argentina and Barcelona, as he told FourFourTwo! The 31-year-old, who is the record goalscorer for both La Albiceleste and the Blaugrana, has enjoyed a trophy-laden club career since making his top-flight debut in 2004. A year later, Messi announced himself on the international stage, making his senior national debut at the age of 18. With more than 800 games to choose from and over 600 goals to select from for both club and country, Messi recently came up with a list of 14 iconic moments he holds dear to his heart. The forward, who is the player with the most goals in El Clasico history (26), announced himself to the world as a 19-year-old in March 2007, when he scored his first hat-trick for Barcelona, and it came against Los Blancos – a feat arch-rival Cristiano Ronaldo could not match during his nine-year stay with Real. The Argentine also made mention of Barca's famous 6-2 and 3-2 LaLiga victories over Los Blancos at the Santiago Bernabeu in 2009 and 2017, respectively. Messi starred in both encounters, with the former considered the match when Pep Guardiola devised the "false nine" role that saw Messi run riot at Real's home ground, and the latter saw the Argentina talisman notch up his 500th goal in style with a 92nd minute dramatic winner. Messi also included Barcelona's last Champions League final, against Juventus in 2015, as part of his memorable moments. In 2008, along with the likes of Pablo Zabaleta, Javier Mascherano, Sergio Romero, Angel Di Maria and Juan Roman Riquelme, Messi became a national hero after guiding Argentina to gold at the Olympics, and was named in the team of the tournament after assisting the only goal of the final against Nigeria. Click through the gallery above to see all of Messi's top 14 moments of his club and country career, as he told FourFourTwo! Which moment is your favourite, and why? Do you consider Messi to be the greatest footballer ever to have played the game? Have your say in the comments section below. Goal number 500 was magnificent because of the weight it carried and the way it was created, I can not forget the lung busting run Sergi Roberto embarked on, leaving Marcelo in his wake, it was reminiscent of the heydays of one Dani Alves and the link up with the little genius and Jordi Alba was delightful to the eye.